Using clean steam rather than products of combustion, LOUISVILLE Steam Tube Dryers are one of the most ecological drying technologies. LOUISVILLE Steam Tube Dryers are indirect heat dryers utilizing the latent heat from clean low temperature saturated steam rather than hot gases from fossil fuel fired combustion systems. This highly efficient heat transfer design also makes LOUISVILLE Steam Tube Dryers one of the most thermally efficient drying technologies. Higher thermal efficiency means lower fuel consumption and lower operating costs than other drying technologies. Many industrial processes now utilize waste heat boilers, boilers designed to use process waste streams, or biomass as fuel. 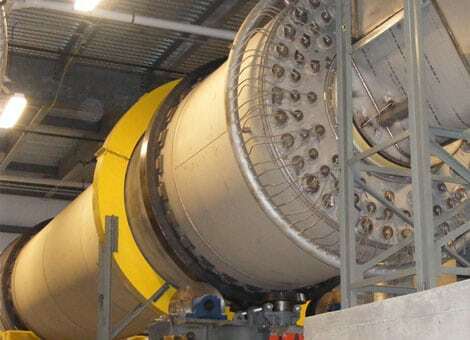 What was once a waste stream can now be a low cost, environmentally friendly energy source in a LOUISVILLE Steam Tube Dryer used to replace less efficient higher emission drying processes. The LOUISVILLE Steam Tube Dryer design uses low temperatures which releases fewer volatiles from organic compounds than other types of higher temperature direct heat drying technologies. This eliminates the need for costly Thermal Oxiders often required for other drying technologies. Lower temperature operation also means lower thermal stresses on the equipment and longer intervals between major maintenance requirements. There are LOUISVILLE Steam Tube Dryers in service today that were commissioned over 75 years ago. LOUISVILLE Steam Tube Dryers do not use heated air as energy to drive the drying process. Only a very small amount of air is used to carry out the water vapor generated in the drying process. With such a small exhaust volume discharged from the dryer, the size and horsepower requirements of the air handling equipment are normally 80% less than direct heat dryers. And in some processes, the small amount of exhaust gas is sent directly to the boiler as combustion air completely eliminating air emissions. 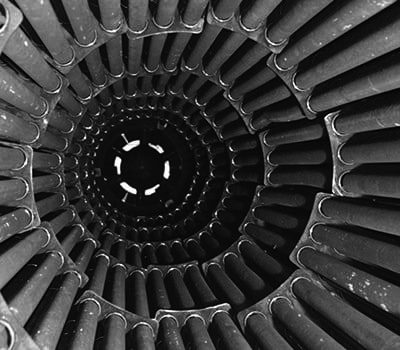 The larger volumes of dryer discharge gas from LOUISVILLE Steam Tube Dryers are used in many industries to convert process waste streams into valuable secondary products. For example, the residual spent grains from the fermentation process in both beverage alcohol and ethanol production are dried in LOUISVILLE Steam Tube Dryers and sold as high nutrient animal feed. In the manufacture of Soda Ash, LOUISVILLE Steam Tube Dryers are used to convert Sodium Bicarbonate into Sodium Carbonate where CO2 is generated, captured in the dryer, and returned to the process to make more feedstock. Direct Heat drying technologies would contaminate the valuable CO2 by-product. Waste paper sludge which for decades had been sent to landfill is now being dried in LOUISVILLE Steam Tube Dryers and returned to the boiler as fuel. Call our experts today at 800-735-3163 to find out how your industry can benefit from the green technologies of a LOUISVILLE Steam Tube Dryer.